The iceberg in Trilegiant Corp. v. Sitel Corp., was the dissolution of Howrey LLP. 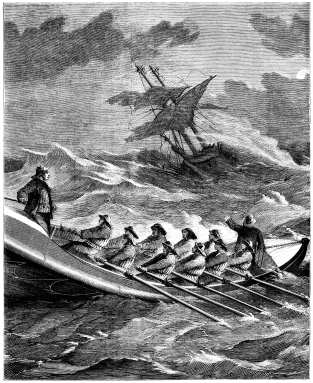 The Howrey partner representing the Plaintiff was able to line up a lifeboat before Howrey sank, but the Chicago Howrey office suddenly closed before he started at his new firm. The client case files had not been delivered to the new firm, even through the client had requested they be shipped to the new office. Trilegiant Corp. v. Sitel Corp., 2011 U.S. Dist. LEXIS 71815, 3-5 (S.D.N.Y. July 1, 2011). In the maelstrom of the Howrey office sinking, the attorney had only a few hours to gather his belongings while abandoning ship. The attorney was not allowed to take his client file with him. Trilegiant Corp., at *4. There were major problems in getting the case file from Howrey, including being promised delivery of files that never arrived and other files sent to an off-site storage facility without his permission. Trilegiant Corp., at *4. The attorney did not begin getting copies of his files until a month after the original court ordered production deadline. Trilegiant Corp., at *4. The last hard copy files did not arrive until May and were in disarray. Trilegiant Corp., at *4-5. The Defendant was not pleased with the delays. They brought a motion to compel production of the delayed discovery and extend discovery by one year. Trilegiant Corp., at *1-2. The Court evaluated each discovery request subject to the motion to compel. The Court granted the motion in part and denied in part. Id. The Court ordered additional discovery to be answered by July 22, 2011. Trilegiant Corp., at *26. However, the Court showed the Plaintiffs a fair amount of judicial compassion. The Court found in one request that there was undue burden in reviewing and producing the underlining discovery. The Defendant was entitled to the information, but would bare the cost of searching for it. Trilegiant Corp., at *10. In multiple other discovery requests, the Court ordered the Plaintiff to produce responsive discovery by July 22 or be precluded from using the discovery themselves. Trilegiant Corp., at *12-13. In another situation, the Court stated that the Plaintiff could not produce what did not exist and there was no showing the Plaintiff had conducted inadequate searches. Trilegiant Corp., at *14. To the extent that Trilegiant has not yet produced all responsive documents, it shall do so by July 22, 2011. Despite Trilegiant’s admittedly late production, further sanctions are not warranted because the delay was caused by forces outside the plaintiff’s control: Howrey’s sudden dissolution and its resulting failure to forward Trilegiant’s case file promptly to Mr. Kliebard’s new offices. The court denied the Defendant’s request for a one-year extension. Trilegiant Corp., at *24. The Court explained that the Plaintiff had already produced the majority of its responsive discovery and the Defendant had had considerable time to review the discovery. Trilegiant Corp., at *25. The Court stated that one-month was sufficient for the Defendant to review any additional discovery and request any follow-up. The list of examples is heartbreaking of the law firms and service providers that collapsed from the end of 2008 until now. Even going back to the 2001-2002 timeframe, 100 year old firms in the San Francisco Bay Area dissolved, along with the titan Brobeck, Phleger & Harrison. Whenever there is a dissolution, there are many talented attorneys and dedicated litigation support professionals left looking for work. The impact of either a law firm or service provider failing can send extreme shockwaves through the legal system. When it is a service provider hosting or storing data, there are serious questions of “where did my client data go?” This obviously can bring discovery review and production to a grinding halt. One horror story of a service provider failing had lawyers in Los Angeles looking for their data, which somehow ended up in Chicago. No dissolution is orderly. Trilegiant Corp. v. Sitel Corp., is a good example of balancing the interests of moving a case forward while accepting the reality of what caused discovery delays beyond the control of the attorneys handling a case.